Lawmakers Seek Congressional Gold Medal For Aretha - Joe.My.God. 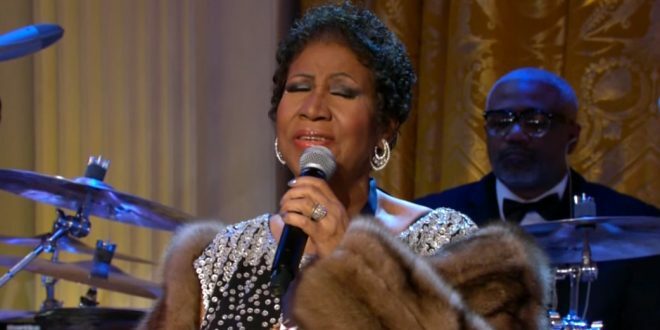 A group of lawmakers introduced legislation on Tuesday to award the Congressional Gold Medal to Aretha Franklin, who died last week. Sen. Kamala Harris (D-Calif.) and Sen. Orrin Hatch (R-Utah) are among the co-sponsors of the legislation in the Senate, while Rep. Brenda Lawrence (D-Mich.) and Rep. Doug Collins (R-Ga.) are co-sponsors in the House. The last entertainer to be honored was Frank Sinatra, who was awarded the medal on May 14, 1997. It has also been awarded to Aaron Copland, Harry Chapin, and George and Ira Gershwin.